Lovely small flexible stencil and the perfect alternative to masking off your larger stencil when creating a stencil/mask intricate background or making small toppers and greetings cards. When finished simply wipe clean. These masks can also be used with embossing machines with the appropriate embossing mat. 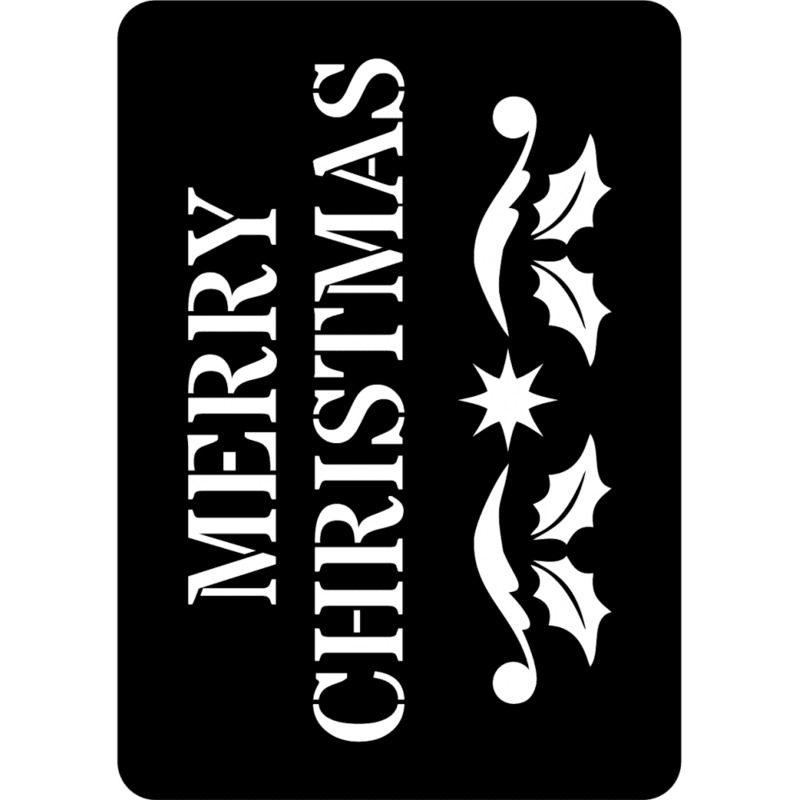 Create a lovely background with this Merry Christmas sentiment design.